It was really hard for me to get into this final book in the trilogy. Makes me not want to read the two prequels. It wasn’t horrible. The ending was exciting, but a little rushed for me—after being quite boring throughout the middle of the book. I am sad about the character deaths, but I appreciate the significance behind them for Thomas. 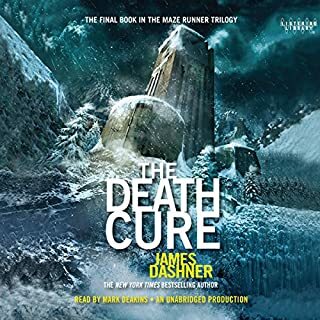 Overall, I’m glad I read the trilogy, but Maze Runner and Scorch Trials blew this one out of the park for me. Very similar feelings I had regarding the Divergent and Hunger Games Series. The last one was a dud. HOWEVER, I’d rate The Death Cure higher than Divergent’s final book, Allegiant. The narration was good—kinda had a boring voice when he wasn’t doing villain characters or Jorge’s voice. Wasn’t entirely too impressed with this one. Kinda boring, actually. Since Halloween is right around the corner, I wanted something more spooky. I thoroughly enjoyed this novella. Narration was great. Story was great. Ended on a really depressing note, but overall I am happy I listened to it. 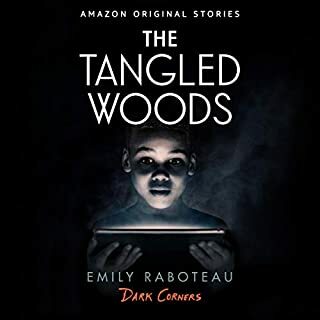 It’s been hard to find short scary stories this year, but this one definitely did the trick! This was horrendous. I felt very uncomfortable through the entire audiobook because I feel like the message here is minimizing a very serious issue that people of color experience day-to-day—I’m not sure what the author intended here, but the whole idea of “a monster within himself” is taken to a whole new level. I just didn’t find this enjoyable one bit. Thank God it was free on Amazon Prime. Also, not scary at all. Narrator was good though. Not scary and All over the place. Whattttttt did I just listen to?? 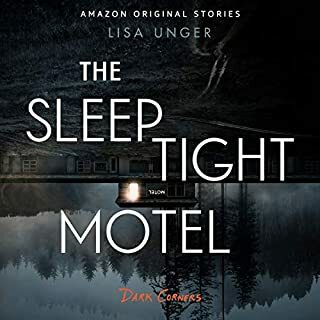 First of all, the narrator of this audiobook sounded like she was a surfer dude, not adolescent boys having a sleepover. They also both sounded exactly the same. Second of all, I actually have no clue how old these kids were—that’s never discussed. But their imaginations make it seem like they are 8 or 9. 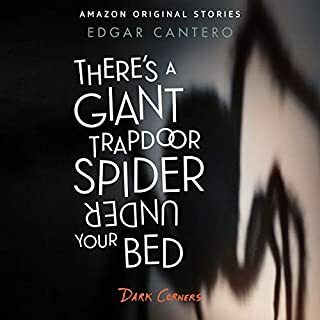 I can’t believe a preteen or older would make up a “giant trap door spider under the bed” and actually believe it enough to have an adventure with your best friend during a sleepover. It reminded me of one giant game of “hot lava” —the game I used to play when I was younger—when you couldn’t touch the ground and if you did, you lost/got burned. Third of all, WHY ALL THE HARRY POTTER COMMENTS!?! What did HP have to do with this novella? Like, I’m a huge HP fan, but I felt like it was used in the novella to gain some attention/popularity. So weird. Finally, I gave it two stars because it does represent the LGBTQ+ community at the end and I support that! Overall, horrible book. So boring. All over the place. Juvenile. And not scary AT ALL! I really didn’t like this story. I got this series for free on Amazon Prime and I’m glad it was free. It was supposed to be a spooky story, but it wasn’t. It was sad and depressing. Basically, the main character of the story has chronic pain (both emotional and physical) and he goes to a doctor for healing. It sounds like therapy, but what Dr. Lang really does shows people a life that is desired (without pain) and makes them choose if they want that nice life or their current lives. The story was horrible and I can’t believe it was sold as a spooky story. Disappointment. The narrator was good though. It was a short story. His voice was perfect for he character. Wish there was more variety in his character voices though. 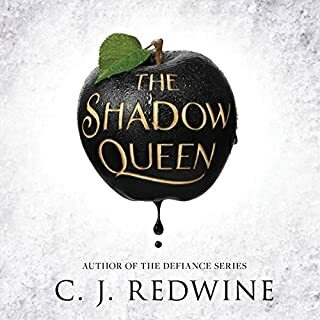 I enjoyed listening to the "other side" of Taryn's betrayal; however, this novella just really got me excited for the sequel The Wicked King. I wanted more after finishing this novella! 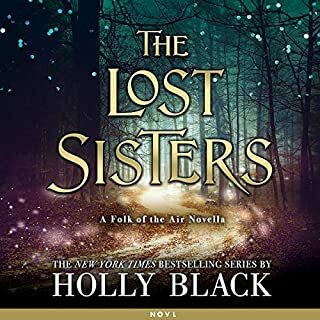 Holly Black is a phenomenal writer and she really pulls you into her stories! As for Caitlin Kelly--she is a gem. One of the best narrators we have ever heard. I enjoyed this story a lot--I've never read it, but I found it to be creepy and mesmerizing. 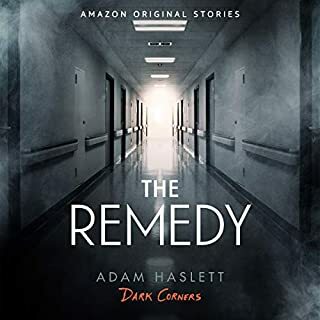 I enjoyed the themes of the story, which included how alcoholism is a disease, the ideas of guilt and justice, and the overarching theme of mental health. As for the narration, I felt the narrator was pretty decent. It seemed as if he was slightly shouting the words, instead of allowing EAP's creepy prose flow. He was dramatic, which was nice; however, his voice could have been toned down just a bit so that he could have played a more mysterious and sinister role. 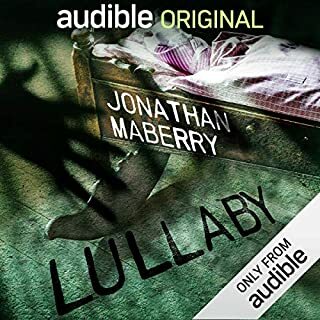 The narrator is supposed to be unreliable; however, throughout the audiobook, I never really liked the narrator because his voice was so intense. Unreliable narrators are tricky to do once you know the ending of the story, so I do give Kevin Theis credit for doing what he did with his reading. The sound effects were the best part--very interesting and added to the story perfectly. I hate Snow White. But I LOVE Lorelei!!!! I wish this version of Snow White was the one Disney originally released--gives women something to be proud of!! I loved the story of Lorelei and Irina. The conflict between these two women is strong, intriguing, mystifying, and amazing to see played out. 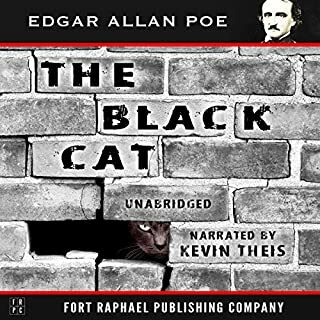 I listened to the audiobook and I must say that the narration for this book was SUPERB. I would strongly advise listening to this book, instead of reading it. Khristine Hvam does a tremendous job loaning her voice to create a powerful and strong willed character such as Lorelei. She also does a phenomenal job at establishing Irina as an evil and viciously fierce queen. I loved the external storytelling of the two "couples." I was invested in both Lorelei and Kohl's relationship, as well as Irina and Victor's relationship. But both storylines took back seat to the relationship between Lorelei and Irina--which I believe was the most important relationship in the novel. This book could be standalone, which I admire. 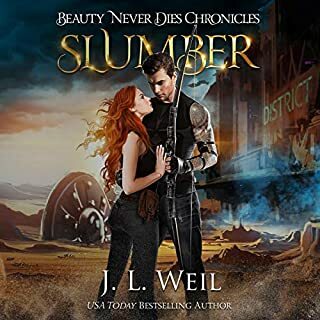 I felt that there was so much action and story within it's 12 hr audiobook; I was completely satisfied with the ending. Job well done, CJ Redwine!